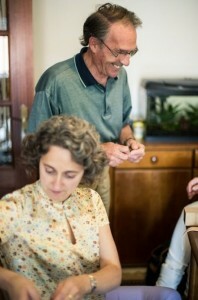 We are very proud and excited to get to know and now be working with, Jose de Sousa and his lovely wife Cristina Sousa. 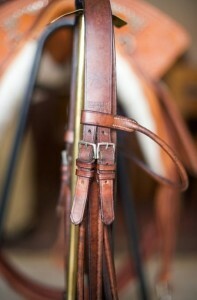 They have a remarkable family history, in crafting the finest hand made saddlery in Portugal. 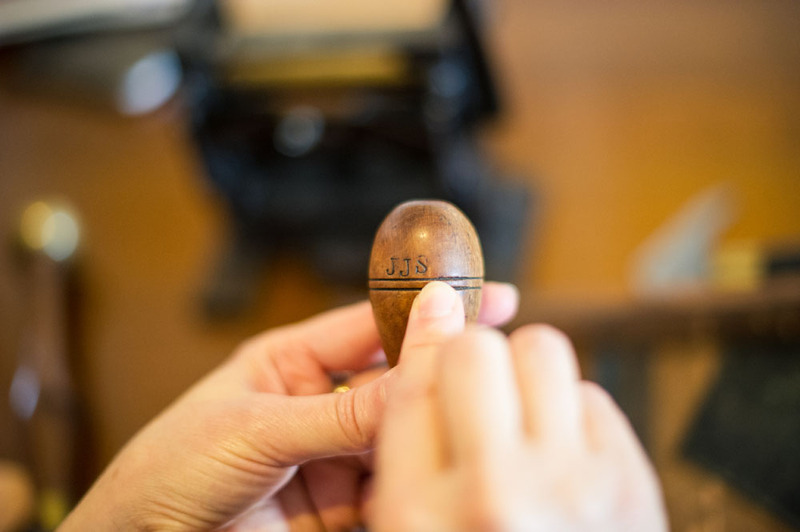 Their history dates back to before the twenties, when Jose’s grandfather Victorino de Sousa Mendes, ‘already well known for his harness making’ moved into a street called ‘Rua dos Correeiros’ located in the heart of Lisbon. 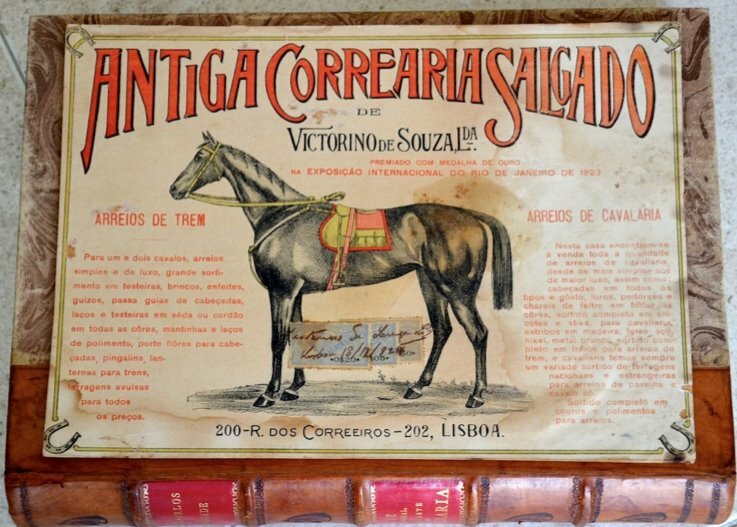 Victorino was invited to manage a well known harness/saddlery making company called ‘Correaria Salgado’, owned by Júlio Alves Salgado. 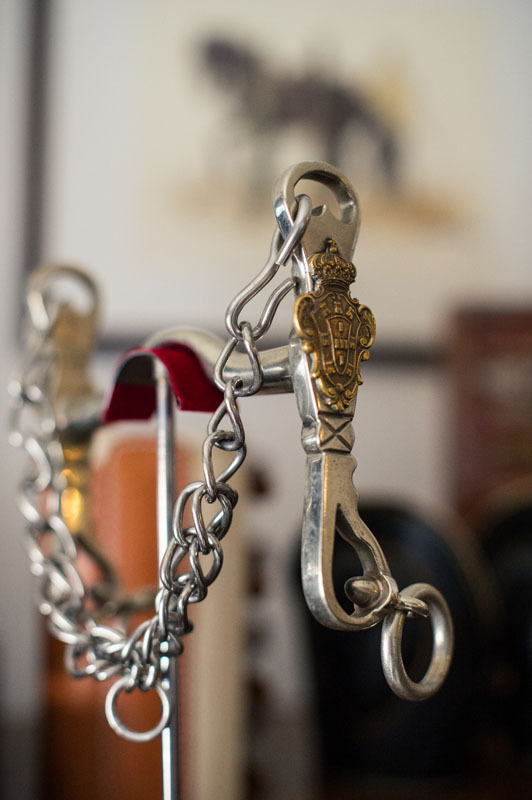 Prior to this change, Victorino had been in charge of ‘Correaria Abreu Chiado’, another harness maker and Correaria Salgado’s most direct competitor and the supplier, to the Royal Household. The shop location, Rua dos Correeiros was very much the home for craftsmen and harness makers, even before the beginning of the century, when the original medieval villages were filled with craft shops. So it was very fitting for Victorino, a true craftsman to find himself in such a historic and appropriate location. a skilled craftsman. 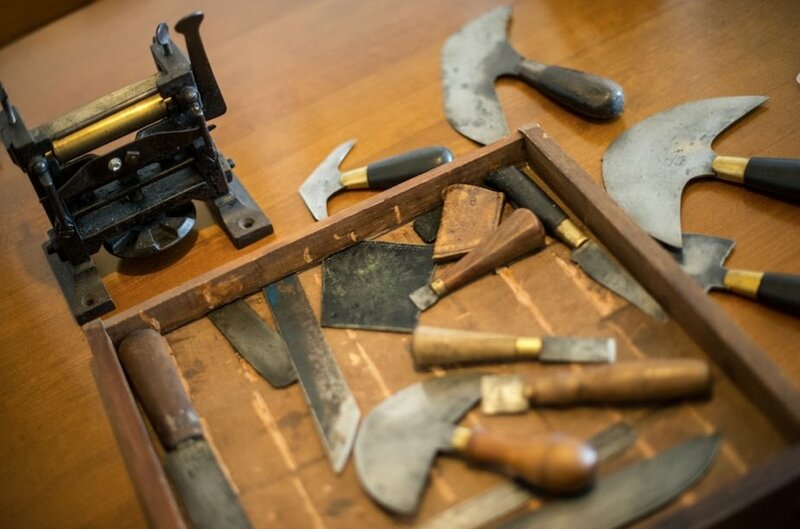 He was also proving to be an expert, at designing and making innovative tools and moulds for the trade. 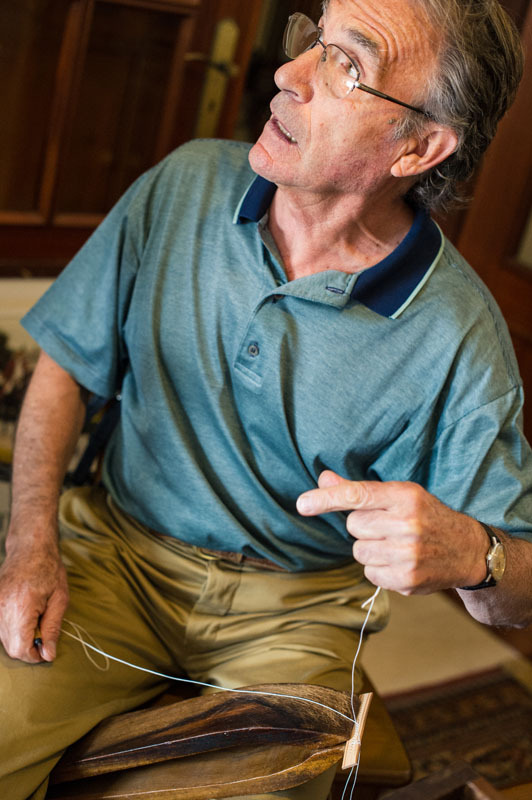 He designed specialist tools for every individual step of making the harnesses. These unique tools are still used today by his grandson Jose de Sousa. Victorino, was without a doubt a gifted man, and due to this he was quickly acknowledged and his work highly valued by everyone that saw it. the very best leathers and fittings. The fineness and quality of his work, led him to become internationally renowned winning the gold medal, at the 1923 International Contest of Rio de Janeiro. 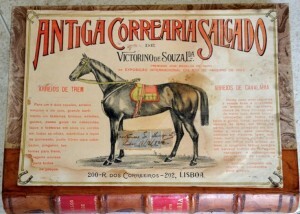 Victorino had a son called Victorino Mendes Sousa Junior, who was set to ensure another generation of this family of harness makers. From the young age of 12 years, Victorino Junior began learning the art from his father. He quickly developed the same skill and passion for the craft showing himself to be as skilled as his father. Victorino Mendes Sousa Junior, was very dedicated to the family business and this led to him making a significant contribution to developing another exciting business avenue. It was with the ever increasing use of cars, the company was beginning to suffer problems, forcing them to revaluate their market and look to expand their craft into new areas, otherwise they certainly would not have survived. They had to adapt to the ‘new world’. 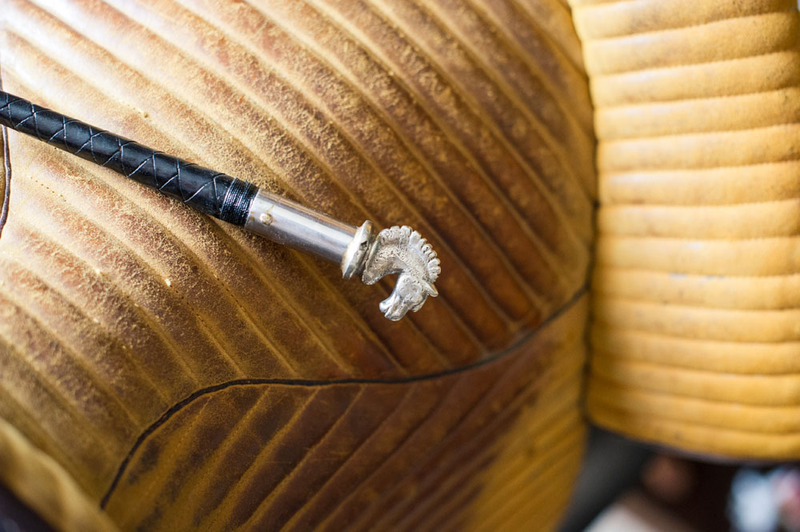 This talented young man, designed and crafted a ‘new’ saddle and bridle for bullfighting. His innovative modern design was very much admired by Master João Branco Núncio, considered by most to be the greatest ever rider and bull fighter. Master João Branco Núncio, chose to use the new revolutionary tack in his shows. Naturally, as a result, other bull fighters wanted the same and the orders came in, taking the company’s fame to greater heights and diversifying the business. 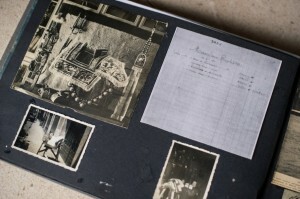 Some of the firm’s customers, included other famous bullfighters such as, Simão da Veiga, Alfredo Conde, Manuel Conde, Master Baptista, Luís Miguel da Veiga, Emidio Pinto and José Zoio. 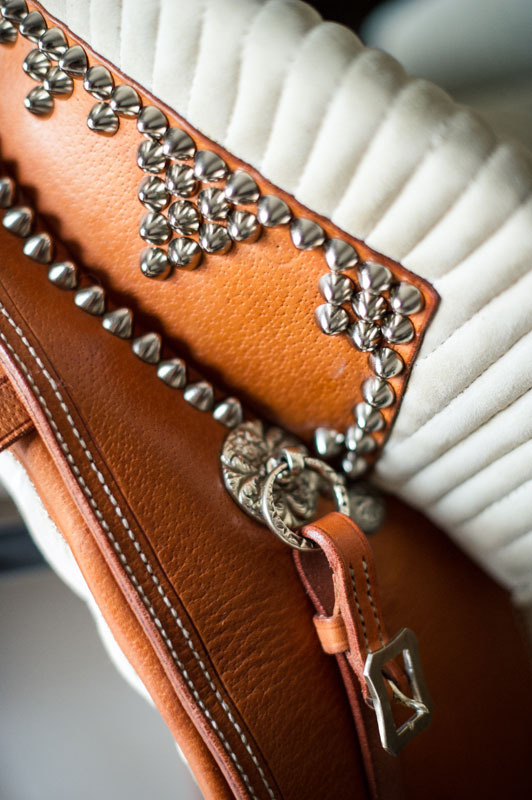 Victorino created unique designs for them all, adorned with silver buckles, crests, fancy stitching and wonderful colours. 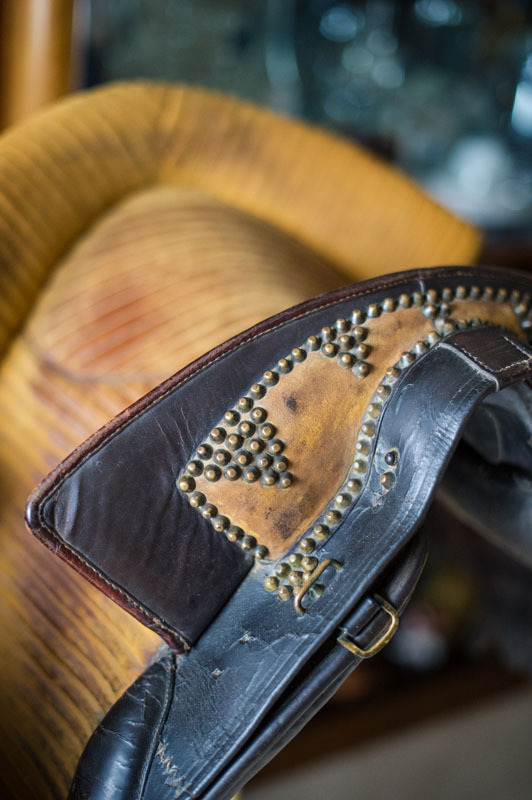 Victorino senior died at the age of 57 years, but by then his son was very much able to take up the reins and with so many extra skills, he began making saddles and bridles for some of the most famous riders and horsemen worldwide. His specialist saddle and bridle designs, became ‘world acclaimed’ and his products so prized he came to be seen as, ‘The Expert Saddler’. His talent wasn’t confined to the world of bullfighting and destined to design famous pieces, Victorino Mendes Junior, had a very special client that visited his workshop – Mestre Nuno de Oliveira. The great modern day classical master, ordered a saddle to be designed that was aptly named, “Nuno Oliveira”. This modern style saddle was created in the 60’s and still today is being totally hand made for local and international clients. 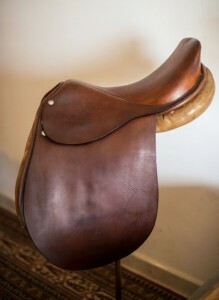 The original saddle in brown leather is now with the son of Victorino Junior – Jose de Sousa. In addition, there is a stunning brown, rolled leather bridle 50 years old, so soft and supple it looks as good quality now, as it was when it was first made. Victorino Junior, went onto design saddlery for many other famous riders, politicians and royalty. 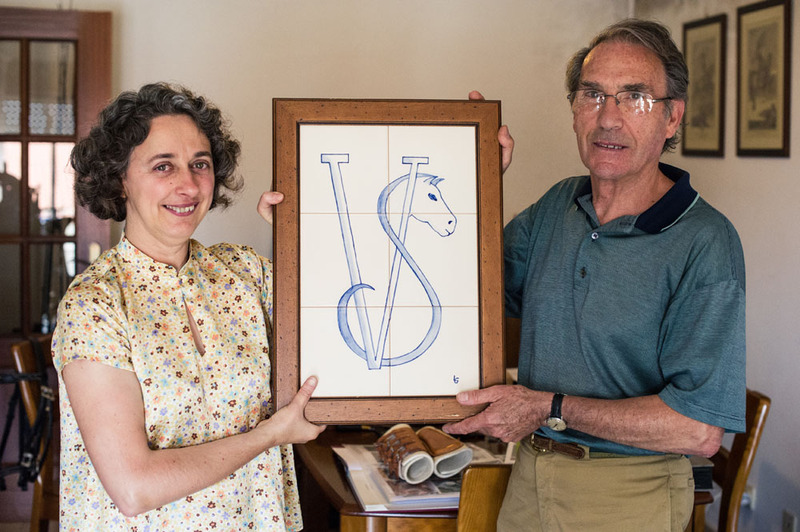 Álvaro Domeq, at the School of Equestrian Art in Andalusia, admired his work so much, that he had all the equipment and harness for the School of Equestrian Art, designed and made by Victorino and it is still used today. The Duke of Edinburgh was awarded one of their Portuguese saddles. 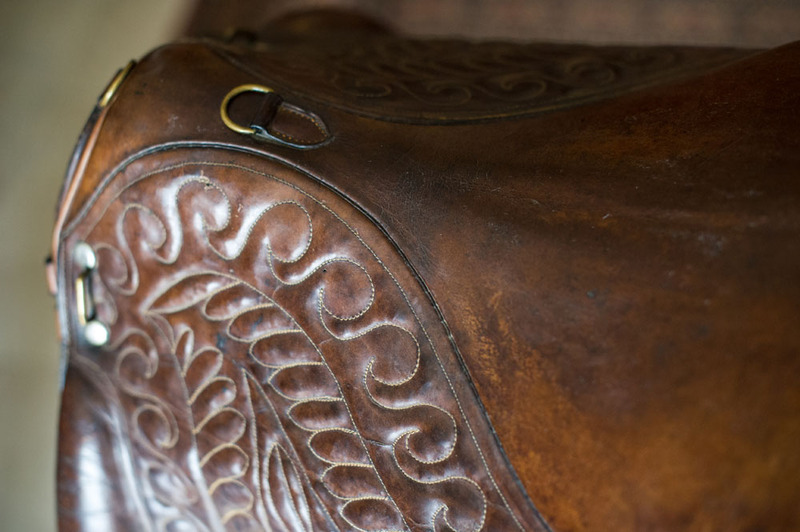 Oswaldo Pirow, Prime Minister of South Africa, ordered a saddle studded with silver. In 1976 a saddle made by the company was presented to the Venezuelan Head of State, by President Ramalho Eanes. 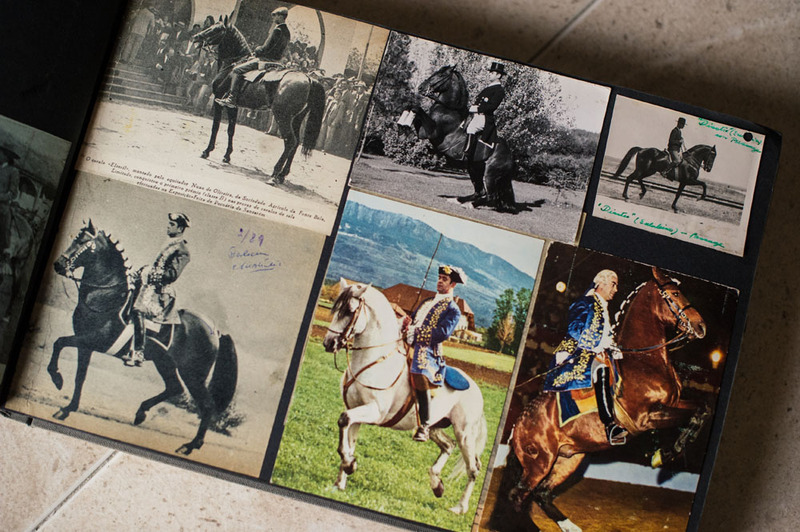 More recently, President Mário Soares introduced, King Hassan II, to the famous tack. Victorino Junior’s son Jose, who following the true family tradition, started his training at the same age as his father – 12 years old. He keenly learnt his father’s and grandfather’s craft, so ensuring the family skills were passing from generation to generation. Jose shares the same passion and love for the craft, learning everything from his father, until Victorino died at 81 years on 19th September 1992. 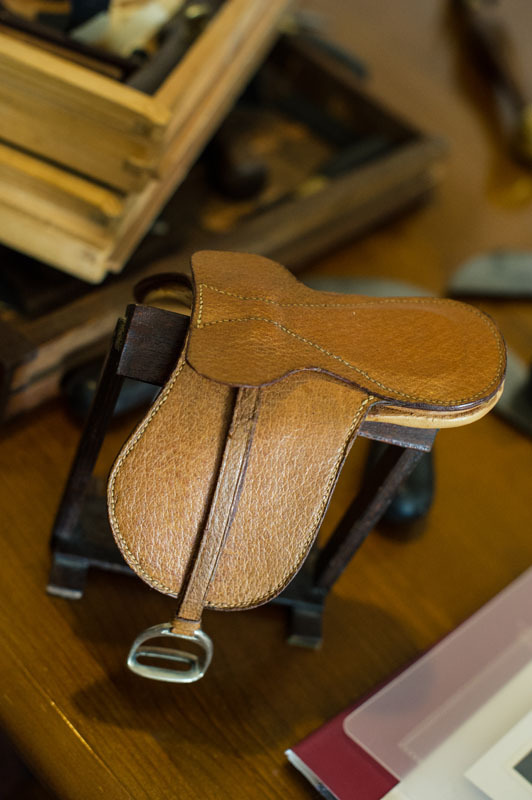 Today, Jose continues hand making the fine saddlery, with all the original tools and moulds and he too has made bridles and saddles for clients all over the world. 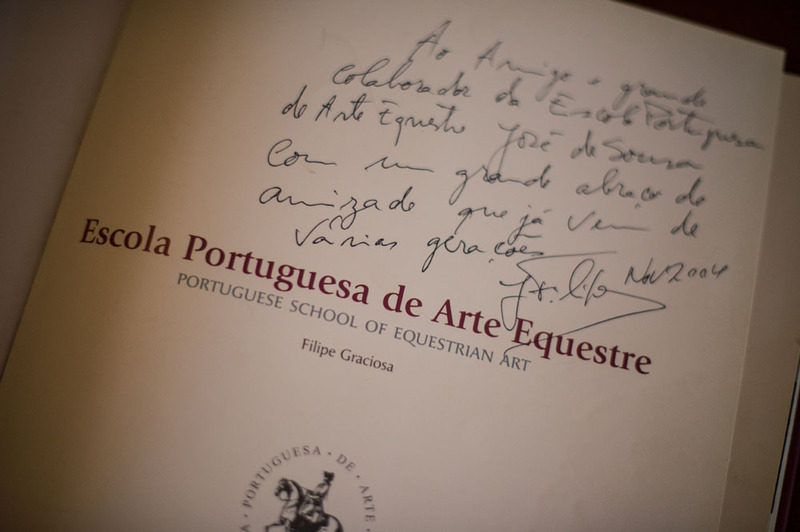 Among other things, he designed the stunning saddlery for the Portuguese School of Equestrian Art in Lisbon. He continued to run the shop in ‘Rua dos Correeiros’, refurbishing the premises in 1993, to offer a larger show room area and removing the workshops so that clients had more space and better meeting areas. Sadly the premises were forced to close when a large company came and bought all the buildings in the area. 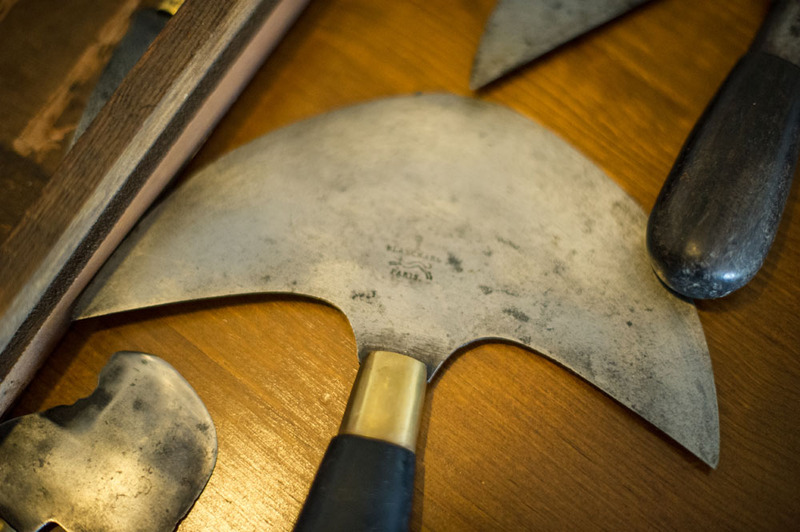 Now Jose works close to his home, still using all the original tools and moulds designed by his grandfather, none of which are now produced as they are replaced by modern technology and machinery. Jose takes great care to select the finest leathers, often from Italy and he hand makes everything. His skill is second to none. 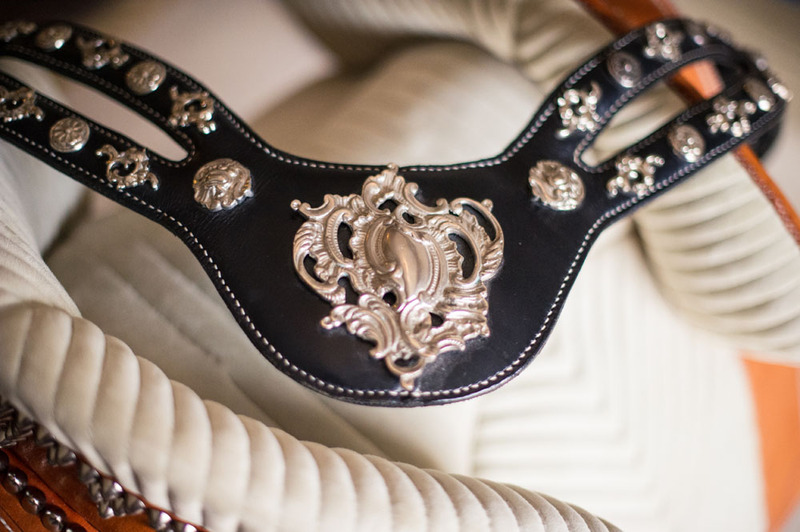 He can create stunning individual pieces, designed especially for you and your horse. The hallmark stamp of VS, is on his work and is still sought after internationally. The very sad ‘nip in the tail’ to this wonderful history, is that Jose is the last in the line to have this skill, no son follows on, to pick up the work and continue it into the next generation. It is such a sad thing, to know that this will eventually come to an end. 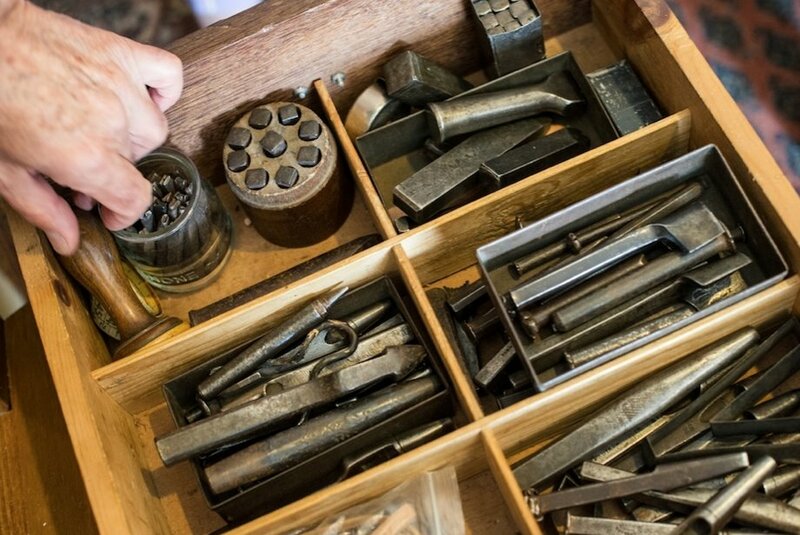 you, to have one of these special and unique pieces steeped in history and second to none in workmanship. 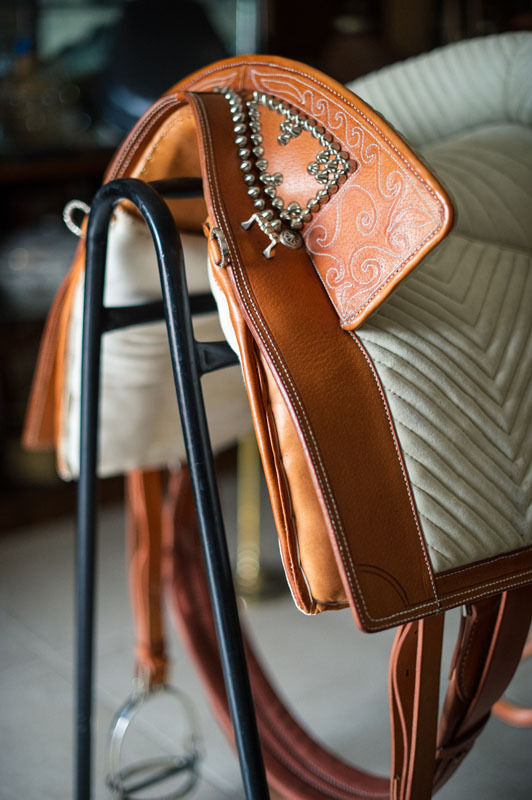 If you have not come across truly hand made saddlery, then you are in for a treat, as Jose, literally hand sews every piece, except for the fancy stitching designs, which is purely for looks and not functionality. 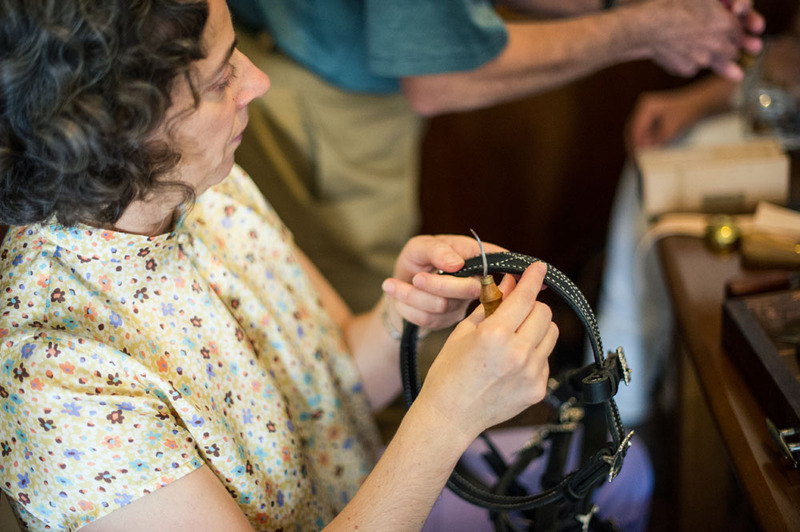 A hand stitched saddle or bridle, is much stronger, for instance if one stitch is snagged, this doesn’t result in all the rest coming loose. This saddlery lasts much longer, is with the very best materials and can be exactly as you want, it in terms of design and size. 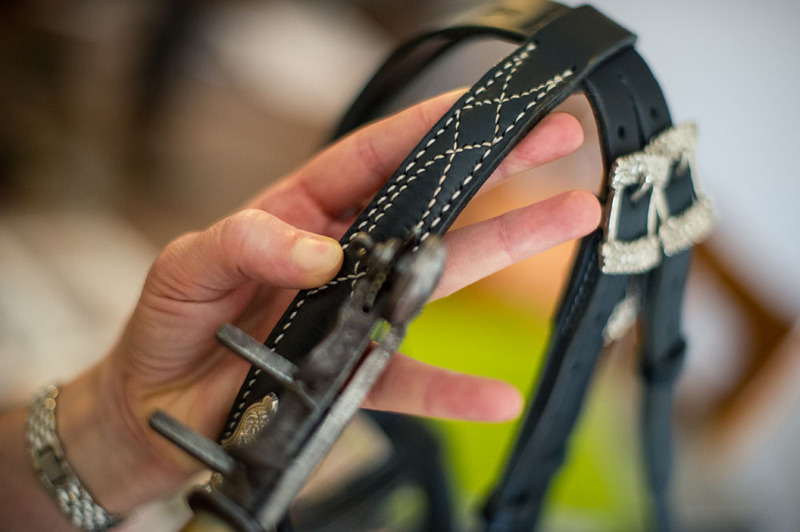 We have a small range of special hand made bridles and also you can create your own design, along with Jose we will help you to design your own unique signature pieces. 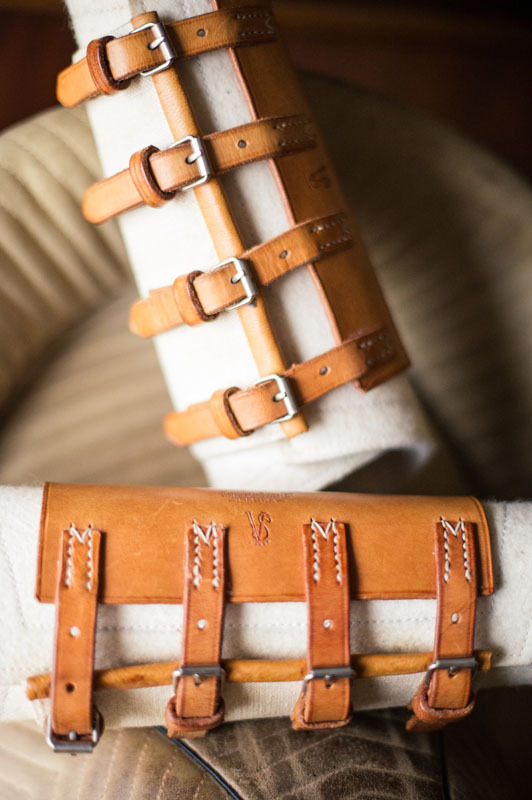 You can choose the leather colour, have a different colour leather lining, for padding on the noseband and head piece, choose from a wide range of simple, hugely ornate buckles in silver or gold, even have real silver buckles. 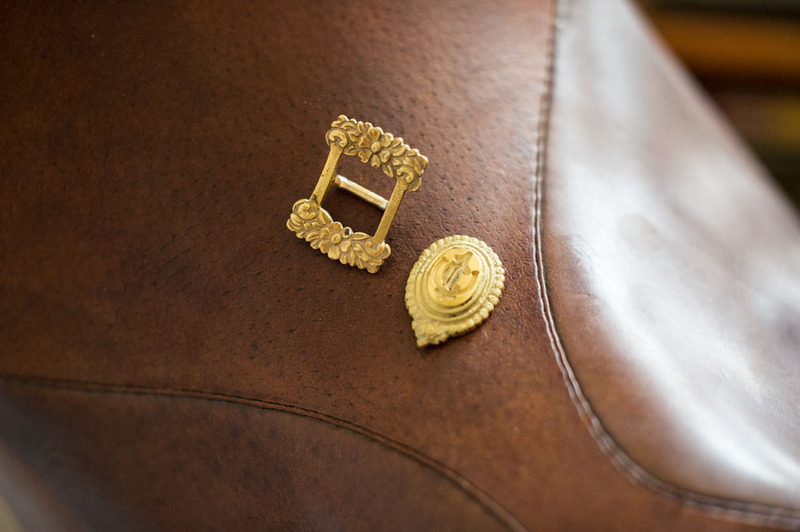 You can have your own brand, family crest or a logo of your choice pressed into the medals, that sit at the sides of the browband or anywhere you want. The pieces are made to measure and personalised especially for you. There are even fabulous bits available, lunge cavessons, chaps, saddles and other unique products. We feel very proud to be working with Jose and to be able to offer his unique hand made work. We have a small range of special hand made bridles and you can also work with Jose, to design your own unique signature pieces. Visit our shop to see the designs.